Hello BlogClan! Creampaw noticed that there was a lot of discussion on the Path of Stars Spoiler page and suggested I give you a page for speculation and discussion about the sixth series. Speculate as much as you like! 1,683 Responses to "A Vision of Shadows Discussion Page"
Twigpaw and Violetpaw are Hawkwing and Pebbleshine’s kits. My reasons are because Violetpaw is white with spots like Pebbleshine’s, and Twogpaw is grey like Hawkwing. Plus Pebbleshine was taken away in a car before she kitted, and if she escaped in the middle of the road, then it would make sense why Twigpaw and Violetpaw ended up where they were found. 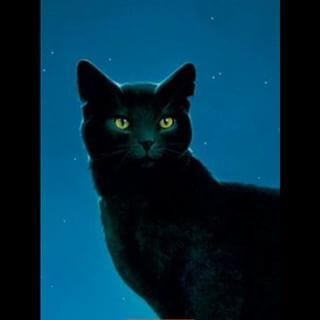 Alderheart will become the new SkyClan. Why would there be a 3rd medicine cat if he wasn’t for SkyClan? Besides, Echosong, Frecklewish, and Fidgetpaw died or their existence is unknown (Echosong took Fidgetpaw as an apprentice after assuming Frecklewish would never be found). Correct me and tell me moar! I love the series! Can’t Wait! Alderheart wont become a skyclan medicine cat he is loyal only to thunderclan and always thunderclan. Who doesn’t love Twigbranch and Violetshine? None! I’ve found AVoS not as good as omen of stars or power of three, my favorite two series. I hope it gets more interesting later on though, so keep working. so you may not reply to this, but will Sparkpelt have a part to play in the vision of shadows? Because her POV was in The apprentices quest, but she’s been completely cut off in thunder in shadow. Is this due to the fact that there were 3 POV’s in Thunder and shadow and you didn’t want to crowd it, or because you feel that you cannot find a proper storyline for her. I’v read the first book but not the next two I realy wan’t too! (I can’t spell :3) I love how thw sireis go in an patten one main carter then two in the new prophecy. in the power of three there is three main carters and now thers one… again. ” purdy is dead!!!??? ?” HOW! He died of like a sickness or ache I think. I forgot how. I remember he had an ache and refused to use Alderheart’s time so he left him to go. When Alderheart got back, Purdy was moaning and flopped down before Alderheart could do anything. Jayfeather told him that he will face some times when he can’t or couldn’t heal some cats. Alderheart feels ashamed for a little, but feels better when he goes back to his normal duties after sitting vigil. Old age is how he died. BTW I am actually JordanTheKitKat. I changed my name now that I have made myself a true warrior of BlogClan. It was sad that purdy died but he died a brave and kind cat who was just very old thats how he died. Not to make you feel pressured, but when will the fourth book in Vision of Shadows come out? You don’t have to answer if you don’t feel like it.